Buying a holiday home on Turkey’s Aegean Coast worked out so well for David Morris and his partner Sibel that two years after getting the keys to their villa the couple have plans for a second purchase in the same resort. David, from Manchester, and Turkish-born Sibel own a three-bedroom semi-detached villa on a gated complex near the resort of Kusadasi. They were one of the first people to invest off-plan in their development, paying a deposit of approximately £22,000 in 2015. Their property took just nine months to complete and in summer 2016 David paid the final balance, using a mortgage from the London branch of Turkish Isbank, and collected the keys. David and Sibel chose to buy in Kusadasi as it’s where Sibel’s family also own a second home. Having their own property in the resort means the couple and their two young children can spend summers there with their relatives. David and Sibel’s property is on a development just outside the village of Davutlar, located 15 minutes south of Kusadasi and close to Paradise Beach and the Dilek Peninsula National Park. Their villa includes upstairs and downstairs bathrooms and balconies off each of the bedrooms, while outside they have a large covered terrace. 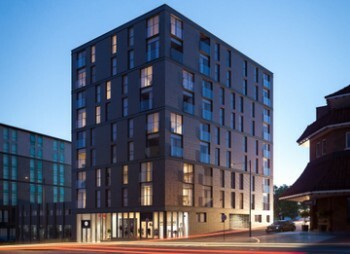 With 24-hour security, communal facilities there include three swimming pools, some with water slides, landscaped gardens, play areas, and tennis and volleyball courts. Surrounded by fruit trees and in the shadow of the Dilek Mountains, unspoilt Davutlar is famous for its natural thermal springs and clean air. 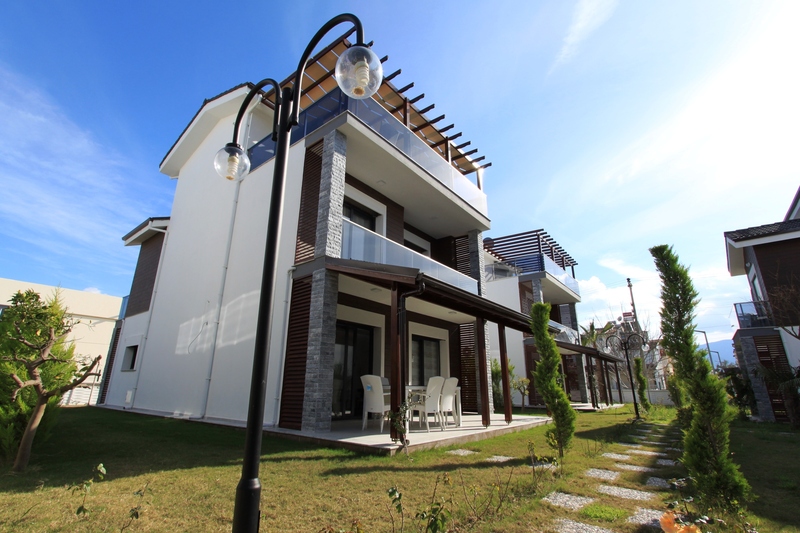 Historically a popular second home destination with Turkish city dwellers, the small complexes of semi-detached houses and villas being built there are beginning to attract foreigners. 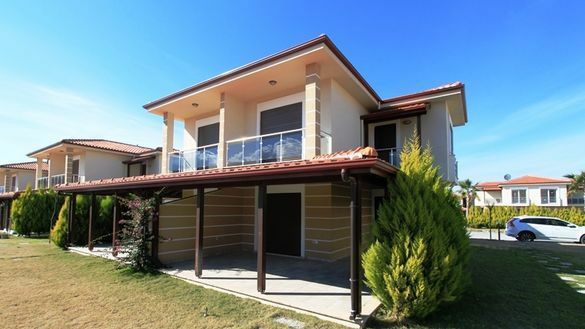 Spot Blue International Property has a range of property for sale in the Kusadasi area, including villas in the same development as David and Sibel’s. Spot Blue International Property is one of the UK’s leading Turkish property agencies, with hundreds of properties regularly listed and updated on its website, www.spotblue.com. As well as helping developers promote their projects to the UK and other foreign markets, www.spotblue.com features properties for sale by private individuals. Spot Blue only promotes property of developers that pass its due diligence assessment. It also specialises in matching buyers with suitable properties and operates in all major resorts in Turkey. The company’s high profile in the UK means it is regularly quoted in the national press and invited to appear on panels at leading seminars and exhibitions. Back in 2015, KPMG crowned Turkey the ‘Rising Star of Golf,’ flagging it up as one of the most successful golf tourism destinations in the world. Given the International Association of Golf Tour Operators’ assertion that golf tourists spend an average of 120% more than general tourists, the need to nurture this segment of Turkey’s visitors was clear. Fast forward three years and it’s clear that Turkey is working not only to woo golf tourists with its courses, but also to tempt them to buy golf properties there too. The PGA National Turkey Antalya Golf Club is currently showcasing its courses, having become Turkey’s first 36-hole golf resort. Representatives are touring key European golfing markets and promoting the courses, which lie in Turkey’s famous Belek golfing paradise. For many golfers, though, a holiday just isn’t enough. Second homes on golf resorts are immensely popular and Turkey has more than risen to the challenge of providing a tempting array of options. Some of the best are located at Kusadasi, a prestigious golf club with its own academy, pro shop and renowned clubhouse restaurant. 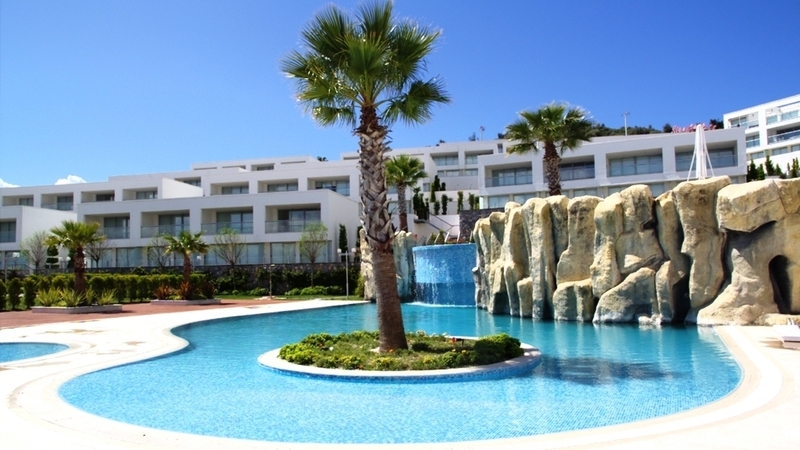 Properties at Kusadasi are not only exquisite in their design, but also surprisingly affordable. A two-bedroom apartment with its own private pool and steps down to a larger, communal pool is priced from just £59,500. Semi-detached houses start from £99,500, while beautifully contemporary, detached triplex villas are available for £159,500. Visitor numbers to Turkey picked up significantly in 2017, according to the Turkish Statistical Institute. 38.6 million tourists visited Turkey over the course of the year, compared to 31.4 million in 2016. Income from tourism was up as well; the last quarter of 2017 saw an increase in tourism income of 27.7%, 77.7% of which came from visitors from overseas. Overall, tourism income for the year totalled $26.3 billion. Kusadasi, with its laidback beach vibe and glorious weather, attracts many tourists throughout the year. Its large expat community encourages some of those to stay for longer, buying second homes and even primary residences so that they can enjoy the area more fully – including its excellent golf course. Belek remains the spiritual home of golf in Turkey, but Kusadasi appeals to those wanting golf and something more as well. The laidback lifestyle, plentiful restaurants and blend of old and new offers something unique in Turkey. A buoyant property market combined with bullish economy, weak currency and rebounding tourism industry are creating attractive conditions for foreigners who invest in Turkey this year, said Spot Blue International Property in March. Turkish property sales to foreigners increased 25.7 per cent in January compared to the same month in 2017, according to Turkish Statistics Institute (TÜİK). During that month, 97,000 properties were sold in total across the country representing a slight year-on-year increase, with 1,742 of these bought by foreigners. Istanbul remains the top destination for foreign property-buyers, attracting 545 sales in January, with the Mediterranean resort of Antalya second favourite (424). Foreign sales in Turkey are spearheaded by investors from the Gulf countries, with Russians and European buyers behind them. This upward trend is predicted to continue. Turkey’s economy is growing faster than any other G20 country, according to the most recent Turkish Statistical Institute data for the 3rd quarter of 2017, which saw the country record GDP of 11.1 per cent. Meanwhile, among other G20 countries, China registered 6.8 per cent growth during this period and India 6.3 per cent growth. Turkey is bouncing back as one of the world’s most popular tourist destinations. In the first month of 2018 the number of foreign visitors to Turkey rose 38.48 per cent compared to January 2017, which saw a 9.8 per cent drop. Turkey is anticipating a record total of 38 million tourists this year, compared to 32.4 million last year, according to the country’s Culture and Tourism Minister Numan Kurtulmus. Positive signs include European tour operators, including Thomson and Thomas Cook, increasing their capacity for packages to Turkish resorts this year, while the German and Russian markets are expected to be especially strong too. Kusadasi, which receives cruise ships and with its lively town and sandy beaches is a popular second home destination, in particular should benefit from the growing tourism levels. The Turkish Government remains determined to hit its target of 50 million tourists a year by 2023. To help achieve this, it is continuing to offer cash incentives to charter airlines that bring tourists to the country and implement measures to facilitate hotels renewing land leases. Turkey’s airlift capability continues to rise year-on-year, as does the country’s role as a hub connecting East and West. In January this year, the number of passengers passing through the country’s leading airports increased 29 per cent year-on-year to 14.74 million passengers, compared to 11.47 million last year (Anna Aero). If this rate of growth is maintained, Turkey could expect to handle around 230 million passengers in 2018. Last year 192.34 million passengers travelled through Turkey’s leading airports, a rise of around 11 per cent on 2016 and a new record. Meanwhile, the global aviation industry will be focusing on Istanbul later this year when the city’s new airport, expected to be the largest in the world, is scheduled to open in October, becoming the new operational centre for the national carrier Turkish Airlines. Turkey’s currency, the Turkish Lira, continues to fall against leading currencies, including Sterling, the dollar and euro. This makes day-to-day living increasingly affordable to foreign residents or tourists with income or funds in a foreign currency. The Post Office’s recently published Worldwide Holiday Costs Barometer ranks Turkey as the seventh cheapest destination anywhere in the world and fifth cheapest in Europe to enjoy a holiday. Over the past month, the pound’s value against the dollar has edged significantly closer to pre-Brexit levels. February saw a high of $1.42, while at the time of writing the pound’s value stands at $1.37 (xe.com). While it may not have returned to the heady $1.49 that it was on the day of the Brexit referendum, the pound’s steady climb is excellent news for anyone with an eye on an overseas property. A British buyer with £100,000 to spend will today have a budget of $137,000. This time last year, they would have had just $122,000. A buyer whose £1 million a year ago would have given them $1,220,000 will now have $1,370,000 to play with. Naturally, buyers of US and Caribbean dollar properties are delighted, but it’s also great news for those buying closer to home. Award-winning Turkey property specialists Spot Blue are seeing sterling’s rise positively impact buyers of Turkish property in dollars at both ends of the price spectrum. 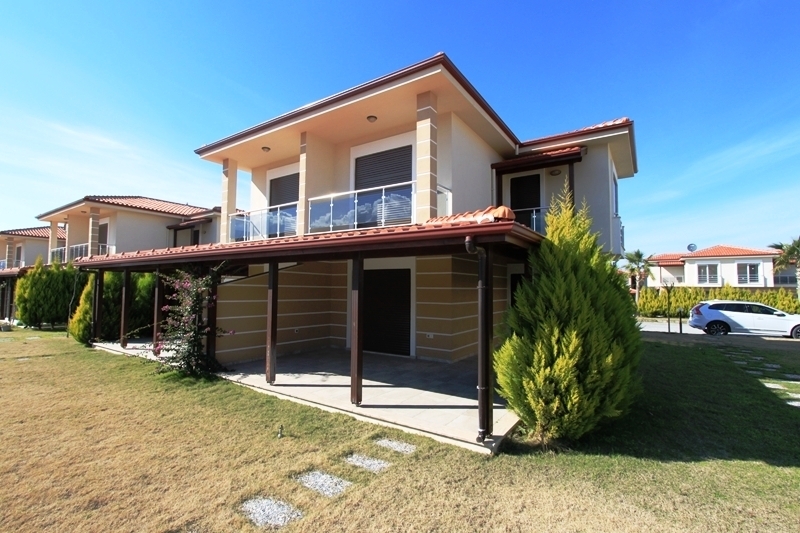 Turkish properties offer exceptional value at present; $151,206 is sufficient for a three-bedroom villa with communal pool just 7km from the coast. Meanwhile those with more to spend can enjoy serious luxury, with this six-bedroom, five-bathroom ultra-contemporary eco villa with private pool, priced at just $2,214,927. The Turkish property market certainly seems to be benefitting. According to the Turkish Statistical Institute, sales there increased by 1.7% in January 2018 when compared to January 2017. The more traditional dollar-purchase locations of the US and the Caribbean also now offer British buyers more for their money. A spacious three-bedroom apartment in Orlando, with huge communal pool and landscaped gardens can be snapped up for just $134,900 through InternationalPropertyForSale.com. Over in Barbados, a lavish three-bedroom villa with sun terrace, private pool and garden costs just $850,000. 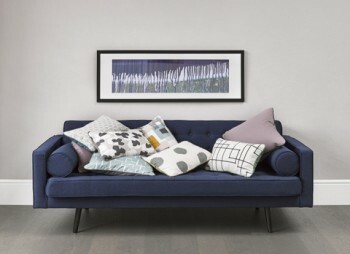 InternationalPropertyForSale.com is owned by Spot Blue International Property, one of the UK’s leading international property specialists that markets hundreds of properties around the world across its portfolio of websites, which includes Turkish property site SpotBlue.com. As well as helping developers promote their projects to the UK and other foreign markets, www.spotblue.com features properties for sale by private individuals. Spot Blue International Property only promotes property of developers that pass its due diligence assessment. The company’s high profile in the UK means it is regularly quoted in the national press and invited to appear on panels at leading seminars and exhibitions. Affordable new developments are helping to make the resort of Kusadasi one of Turkey’s most exciting holiday home destinations in 2018, said Spot Blue International Property in February, adding that recent uplifts in tourism and foreign property sales should boost the country’s appeal with foreigners this year. House-hunters in Kusadasi, home to the Mediterranean’s fourth largest cruise port and one of Turkey’s largest marinas, are being encouraged to explore beyond the centre of the resort and consider the up-and-coming areas of Degirmendere and Davutlar. Situated south-east of the centre, on the inland side of the main road that runs through Kusadasi, the former is a neighbourhood that is the focus of much new development. Meanwhile, Davutlar is a less village situated a short drive south of Kusadasi. Typical of what’s available in Degirmendere, Spot Blue International Property is offering two and three-bedroom apartments within gated complexes, available as off-plan or new-build, with prices from £59,500. Buyers who prefer a more natural, less touristy setting might prefer Davutlar, nestled amongst fruit and olive groves beneath the Dilek Mountains 15-20 minutes’ drive from the bright lights of Kusadasi. The village is famous for its natural thermal springs, rich green scenery and famously clean air. Historically a popular second home destination with Turkish city dwellers, the small complexes of semi-detached houses and villas being built there are beginning to attract foreigners. Proximity to the Dilek Peninsula National Park, which includes some of Turkey’s prettiest unspoilt beaches, is a further attraction of the area. Spot Blue International Property has property in Davutlar, both new-build and off-plan, from £99,500. The Turkish Statistical Institute Turk Stat have published their 2017 report of foreign property buyers in Turkey. It reveals a colourful variety of nationalities bought a total of 22,234 homes reflecting an increase of 22.2% year on year. The improved stats are most likely the results of a favourable exchange rate as well as a variety of incentives by the Turkish government to attract foreigners to their real estate market. In January 2017, the Official Turkish Gazette published a decree offering citizenship to any foreigner buying property worth 1 million USD or more. The following month, Turkish parliament passed a law that enabled foreigners investing in the property market of Turkey to be exempt from value-added-tax. Conditions included making the purchase in a foreign currency and keeping the new property for at least a year. The law also applied to Turks who lived and worked abroad for more than 6 consecutive months. Stats show Istanbul as the most popular district for house sales to foreigners with a total of 8,182 homes sold. The city, the largest and busiest in Turkey is currently undergoing a construction boom with many skyscraper projects on the market. The Mediterranean district of Antalya followed by 4707 house sales to foreigners. Consisting of the smaller coastal resorts of Side, Alanya, Kemer, Belek, Kas, Kalkan and the main city centre, Antalya is particularly popular with Russians, Germans and Brits, of which many live permanently in the area as retired expats. Once again, the districts of Bursa (1474) and Yalova (1079) are slowly climbing up the ranks. Despite being latecomers to the market appealing to foreign property buyers, the historical value, as well as beautiful landscapes, are especially popular with Middle Eastern nationalities who find many similarities between cultures. The top buying nationality was Iraqis with a total of 3805 houses. Saudi Arabians closely followed with 3345 house sales. The nationality taking third was Kuwait with 1691 sales. British buyers bought a total of 794 homes in Turkey. Despite getting off to a shaky start in the first two months of the year with just 77 sales, business picked up and climbed to its peak in September with 103 sales for that month alone. General trends show British buyers tend to stick to the Aegean and Mediterranean coasts in resorts such as Didim, Fethiye, Bodrum and Kalkan. Expert insiders are predicting a rebound for both the tourism and foreign Turkish real estate market in 2018. The government spent most of 2017 clamping down on terrorism, and the lack of attacks is seeing a return in confidence for both sectors. British airlines have massively increased their seat capacity between the two countries and a favourable exchange rate, as well as a surpass supply of new, modern homes offer ideal conditions for foreign property buyers in Turkey. As freezing weather grips the country with recent snowfalls across UK, it’s time to escape somewhere warmer. There are plenty of winter sun destinations easily accessible for Brits such as Spain, Turkey or the USA being the obvious choices but there are some more exotic options available too. To help, here is a selection of the 10 hottest homes on offer this winter – whether you are looking to invest into a luxury villa outside Europe or buy a second home in a jet-lag-free Mediterranean destination, we have it all! 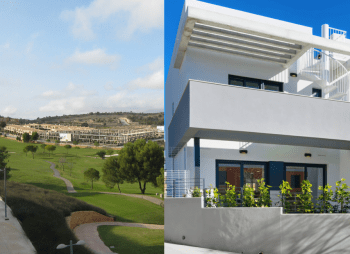 The residential complex, developed by Taylor Wimpey España, has spacious 3 and 4 townhouses with private terraces and gardens surrounded by a solarium area with views over the Santa Ponsa golf course. It is in one the island’s most exclusive and in-demand areas. Prices start from €549.000 +VAT. 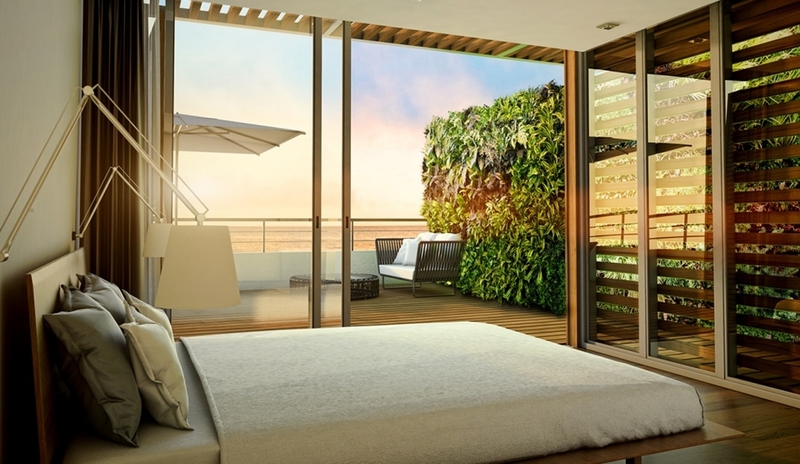 Available through InternationalPropertyForSale.com investors can get these well-designed beachfront residences that boast a rich array of indoor and outdoor amenities such as a world-class spa. With its floor-to-ceiling windows offering breath-taking views over Atlantic Ocean and more, the properties have wonderful features. Prices start from £1,041,724. 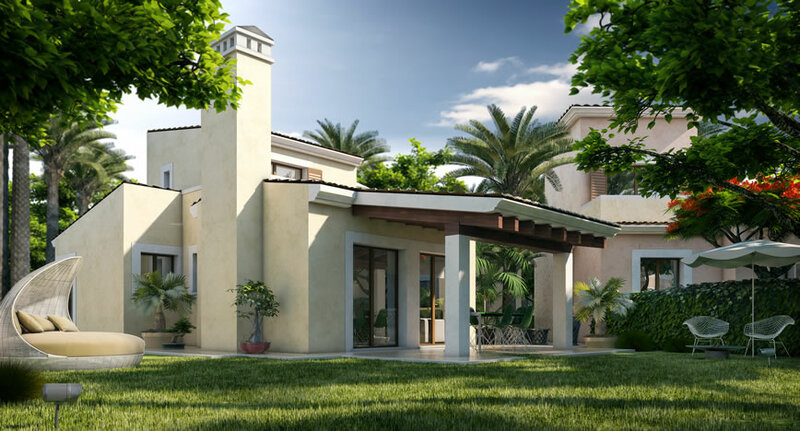 Exclusive to investment agency Property Frontiers, Fumba Town is a brand-new development of villas and apartments offering breath-taking sea views. Located close to the centre, the property offers the chance for residents to completely emerge within the paradisiac lifestyle on this African beach heaven. Prices start from £123,000. 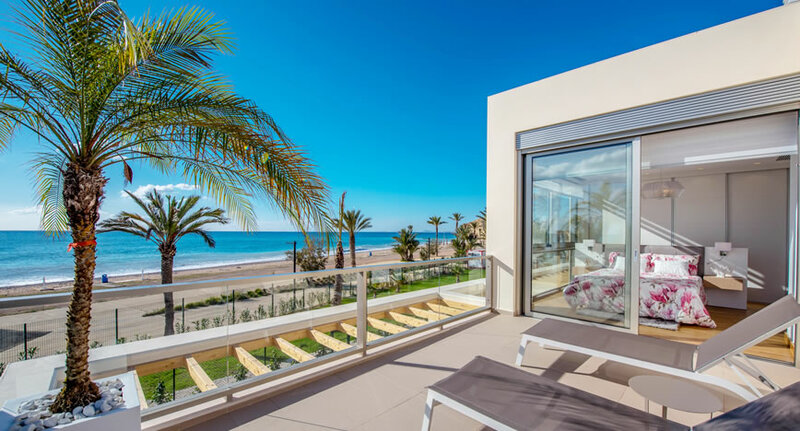 With this development, Taylor Wimpey España gives the chance for residents to feel proud about living in an enviable beachfront location in Villajoysa. The 2 and 3 apartments are built to an excellent standard and include swimming pools, beautiful gardens and direct access to Paraiso beach. Prices start from €269,000 + VAT. Elegant townhouse villas are available through InternationalPropertyForSale.com on Barbados’ stunning west coast benefitting from an all year-round tropical climate. Within this exclusive 5-bedroom development, each property has the option for a sun terrace with access to swimming pool, spacious rooms and other first-class features. Prices start from £1,085,909. This beautiful development, available through Spot Blue, is comprised of 2 bedrooms villas with large private terraces well situated within a relaxed mountainous environment. All villas are built in a traditional Turkish holiday home style and the time difference of just 3 hours make up for the 6-hour flight. Prices start from £69,000. 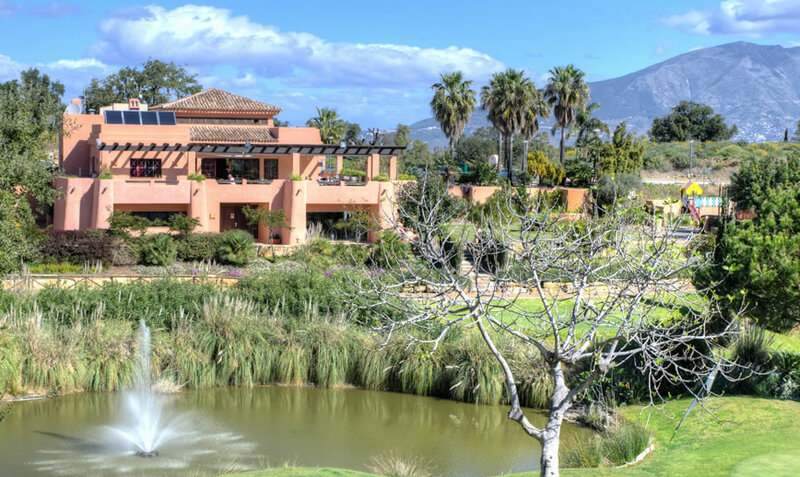 This Taylor Wimpey España residential development is unique as it is surrounded by a striking natural biosphere reserve by UNESCO in Marbella. Owners at La Floresta Sur will live in a healthy environment with better breathing, access to pure water and lots of trees for natural beauty. Prices start from €192,000 + VAT. 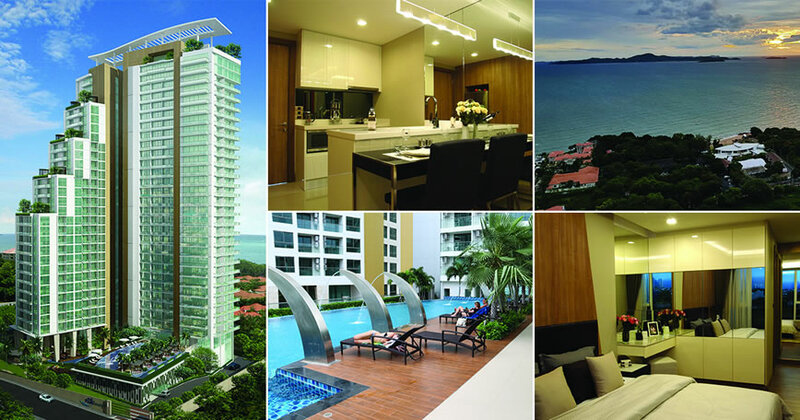 With this new 30 floor residential building located within a premium beach area, Property Frontiers is offering investors an excellent opportunity to expand their portfolio internationally. Residents will enjoy the Thai lifestyle living in a perfect environment to soak up on some warm tropical sun during winter. Prices start from £60,617. Also available through InternationalPropertyForSale.co, this development of 25 apartments and penthouses, situated on the beautiful beach of Tamarin on the west coast of Mauritius, is surrounded by sea and mountain views. The properties are eco-friendly and have been designed modern and elegant featuring comfortable living experience. Prices start from £674,082. 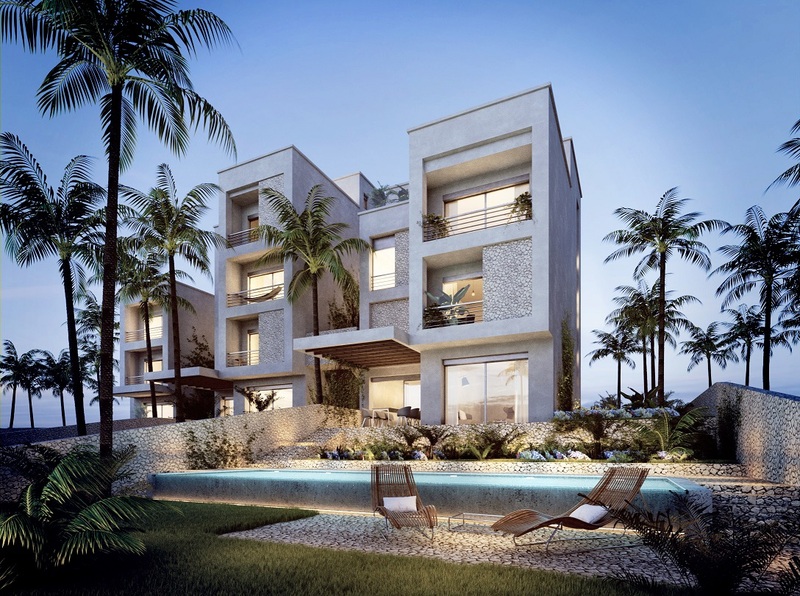 With coastal properties always in high demand, Taylor Wimpey España has unveiled the brand-new development Acquamarina which offers 2 bedroom apartments designed with pure Mediterranean style architecture, where the predominant colour is white. Prices from £214,000. A British couple have been rewarded for their loyalty to Spot Blue International Property after the international estate agent found buyers for their villa in Turkey eight years after finding them the perfect plot for the property. 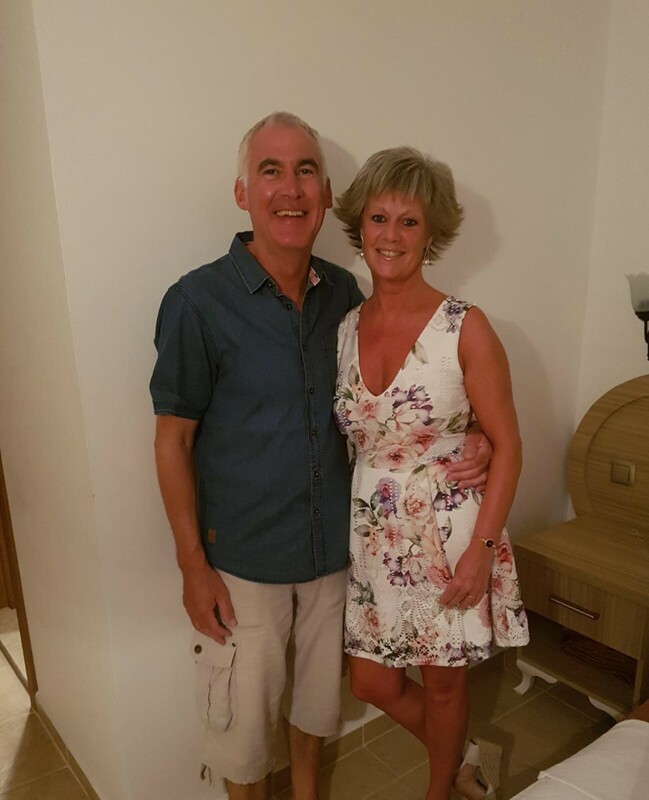 David and Barbara Barber from Northern Ireland completed the sale of their villa, located in the Calis area of Fethiye, in August 2017, having accepted an offer of just under £400,000 through Spot Blue International Property in May. Back in 2009, Spot Blue International Property helped the Barbers create their dream holiday villa in Turkey by finding and selling them its 1,000-square-metre plot. The couple then employed an award-winning Turkish architect to design the 220-square-metre property. It included five en-suite bedrooms – four with balconies, a spacious open-plan living area with central burner, gallery windows and lots of natural light. The Barbers’ reason for selling in Turkey was twofold: their two adult children have flown the nest so they visit less as a family and there are now fewer flights to Dalaman from Belfast. However, the couple won’t stop visiting Fethiye. British buyers are especially fond of Calis, where recent infrastructure upgrades include a linking of its beachfront promenade with Fethiye’s promenade. Calis’s location just 50 minutes from Dalaman Airport, 15 minutes from the centre of Fethiye, 25 minutes from the famous Ölüdeniz lagoon and 30 minutes from the upmarket marina resort of Göcek add to its international appeal. For more information, call +44 (0) 208 339 6036 or visit www.spotblue.com. Britons are helping to drive Turkey’s tourism and resurging foreign property market this year, with the country celebrating a 22 per cent year-on-year hike in the number of foreigners it welcomed in the first seven months of 2017, said Spot Blue International Property in September. In July alone, the number of foreign tourists visiting Turkey surpassed five million, representing a 46 per cent year-on-year increase, according to the country’s Ministry of Culture and Tourism. Of these tourists, Britons comprised the third largest group (277,955), after Germans (680,616) and Russians (835,525). Between January and July, Turkey attracted 17.3 million foreign visitors. During this period, the Antalya province was a star performer, recording a 60 per cent rise in tourist numbers, according to Turkey’s Culture and Tourism Minister Numan Kurtulmuş. In tandem with tourism, Turkey’s foreign property market is seeing an uplift in 2017, according to the most recent statistics from the Turkish Statistical Institute (TÜİK). Sales to foreigners rose 65.3 per cent in July compared to the same month last year, mirroring a hike in sales in Turkey’s domestic market. TÜİK’s July figures reveal Britons as the fifth largest group of foreign buyers in Turkey, behind the Gulf States of Iraq, Saudi Arabia and Kuwait, and Russia. Looking closer at the data, Istanbul remains the most popular destination with foreign purchasers, attracting nearly 31 per cent of all sales in July. The southern resort and province of Antalya was the second favourite, followed by the Black Sea province of Trabzon. Elsewhere, the Muğla province, which includes Bodrum and Fethiye, remains a favourite with British buyers. rise compared to the same period in 2016. For more information, call +44 (0) 208 339 6036 or visit https://www.spotblue.com/. They may not be the favourites to win Euro 2016, but when it comes to real estate, this is England’s year. Property portal TheMoveChannel.com pitted the housing markets of the 24 countries against each other in a property tournament to end all property tournaments. The site compared each country across three key categories: house price growth in the 12 months to Q1 2016, using Knight Frank’s Global House Price Index, the number of properties listed for sale on the international site, and demand from investors, measured by the number of enquiries from buyers on TheMoveChannel.com in the 12 months to June 2016. Combined, the factors give a rounded portrait of a country’s property market, from overall health to investment potential. In terms of house prices, Turkey’s property market is number one in Europe. According to Knight Frank’s Global House Price Index, the country has seen property values soar 15.3 per cent in the year to Q1 2016, ahead of Sweden (12.9 per cent) and Austria (7.6 per cent). Turkey has enjoyed the strongest house price growth in the world for the last three quarters in a row, fuelled by the country’s rapidly growing population, ongoing infrastructure development and high demand. 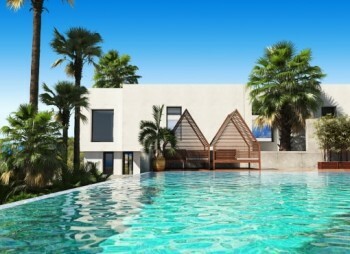 Spain is the most popular destination in Europe for foreign buyers, attracting the highest number of enquiries on TheMoveChannel.com in the year to 2016. It is followed by investor favourites Portugal, France, Turkey and Italy. Italy is also the country with the most properties for sale on the site as of June 2016, ahead of England, Spain, France and Portugal. Following the format of the Euro 2016 tournament, the categories were used to determine the top performers from each group, before progressing through the knockout stages of the competition. In the quarter-finals, Spain slipped past Switzerland through sheer force of buyer demand; England advanced over Portugal due to stronger price growth and a higher inventory of homes for sale; Turkey triumphed over Germany, thanks to its unbeatable house price growth; and France flew past Austria, boosted by its lifestyle appeal. While Spain is the most popular destination in Europe on TheMoveChannel.com, England edged past its continental cousin, powered by its stronger house price growth (5.3 per cent versus 2.4 per cent) and a higher number of properties for sale, making it easier for investors to find an opportunity. France’s house price growth may be low compared to Turkey’s (0.5 per cent versus 15.3 per cent), but with French mortgage rates at record lows, demand for the country’s real estate is hard to match, with France receiving 27 per cent more enquiries in the year to June 2016. England’s housing market puts 50 years of hurt to rest with a victory over the Euro 2016 hosts. Due to a chronic lack of supply, England’s property values have been accelerating for some time. In the 12 months to June 2016, prices have risen 5.3 per cent, according to Knight Frank, compared to France’s 0.5 per cent. England also has more properties for sale. France, however, scores a consolation goal with a higher level of buyer interest, primarily because of people searching for property in the UK in general, instead of specifically in England. Founded in 1999, www.TheMoveChannel.com is the leading independent website for international property, with more than 1.4 million listings in over 100 countries around the world, marketed on behalf of agents, developers and private owners. TheMoveChannel.com is one of more than a dozen international property sites operated under the Lead Galaxy brand. Lead Galaxy provides online marketing solutions to thousands of property companies worldwide, focusing on portal listings, email marketing, qualified leads, paid search and social media advertising. The business is headquartered at 24 Jack’s Place, Corbet Place, Shoreditch, London, E1 6NN. Do you need comment or statistics for an international real estate article? Our experienced editorial team and management are happy to collate data, provide example properties, or offer insightful comment to support your publication. Feature property listings in your publication! Our technical team has developed a great new solution for content publishers that allows the addition of high impact advertising units, which can be configured to show property listings, relevant to a type of property, country, region or a specific location. Standard Ad Units: These show in 120,600, 160×600, 300×150, 300×250, 300×500, 300×750 and 728×90 formats, with a varying number of listings showing in each version. Dynamic Portfolio: This is a completely configurable panel, where you can choose the number of columns and rows, plus the size of the listings and dedicate a section of a page, or even a whole page to a set of properties.